With the bike fit done, and the aesthetic planned, we got together with the customer and started planning the build. Specific colours were a must, with VW Dragon Green as the metallic base with Vanilla Shake panels with Gold Metallic stripes giving a retro look. 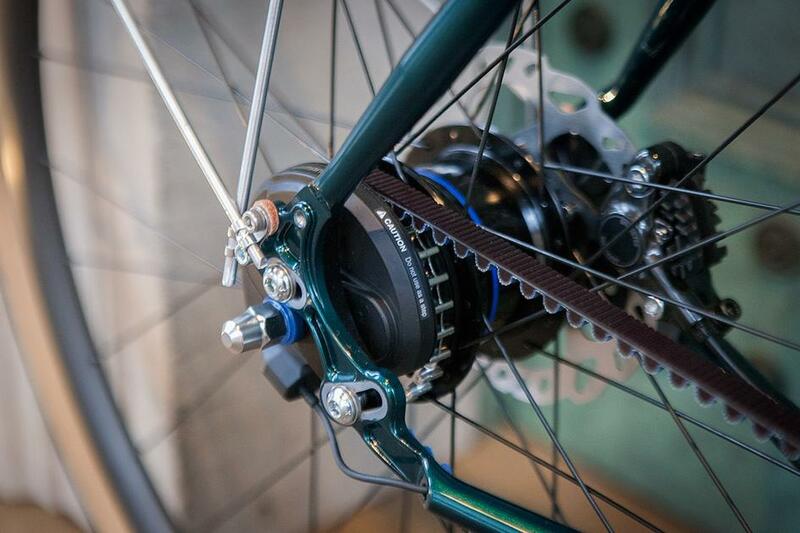 We had other requirements too: disc mounts, Paragon rocker dropouts. We went for a 44mm head tube and worked with Parlee on a custom ENVE CX disc fork with mudguard eyelets. Beautiful Indy Fab finish. 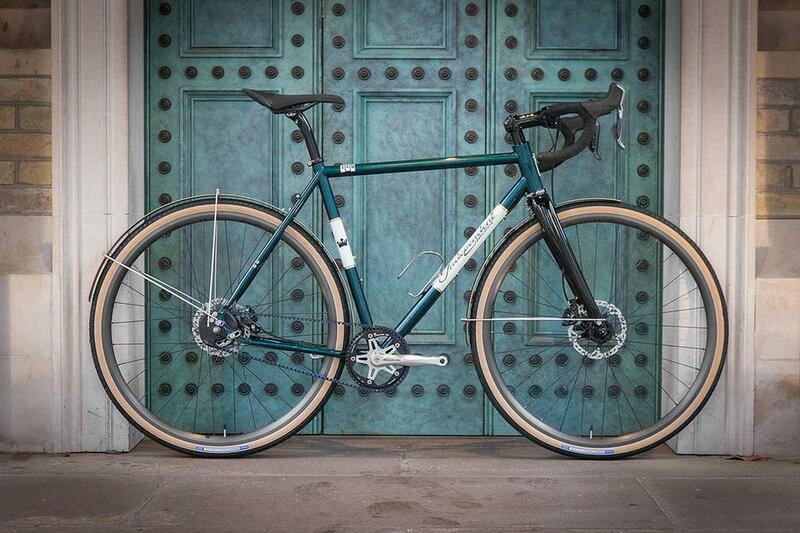 The mudguards, 35mm Panaracer gum walls and Archetype rims look perfect together. Timeless King Cage bottle cage. 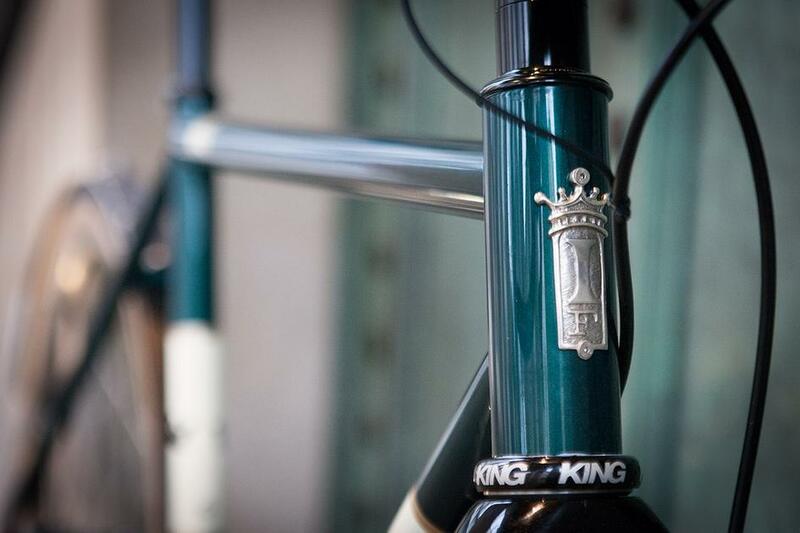 Two marks of quality: Chris King headset, IF sterling silver headbadge. The drive train is a real labour of love. 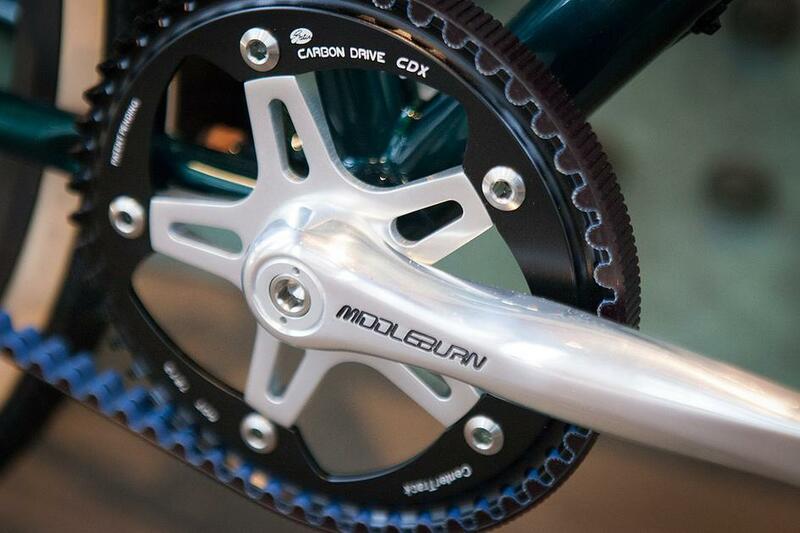 UK made and designed Middleburn cranks were fitted with a Gates carbon drive chainring. We used a Phil Wood BB to ensure the perfect chain line. The Shimano Alfine 11 is a perfect choice for all weather touring: internal hub gears are weather proof and incredibly low maintenance. 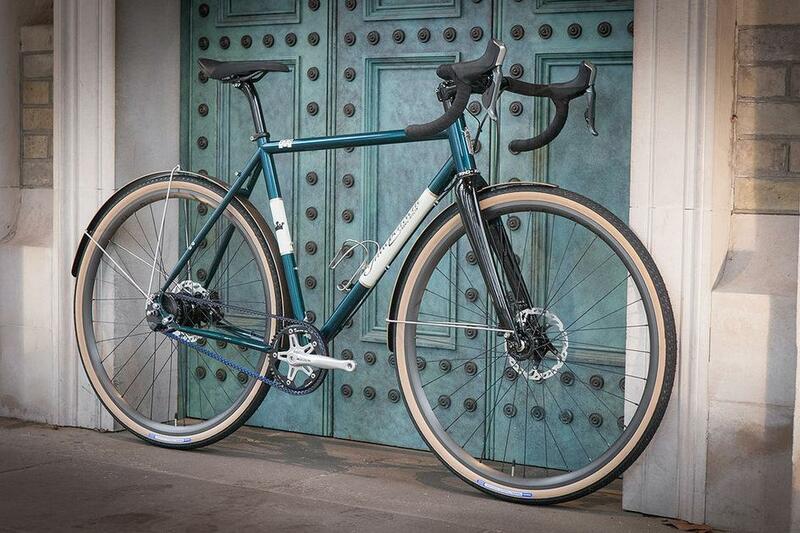 Choosing Di2 Alfine makes this a luxurious yet eminently practical choice. 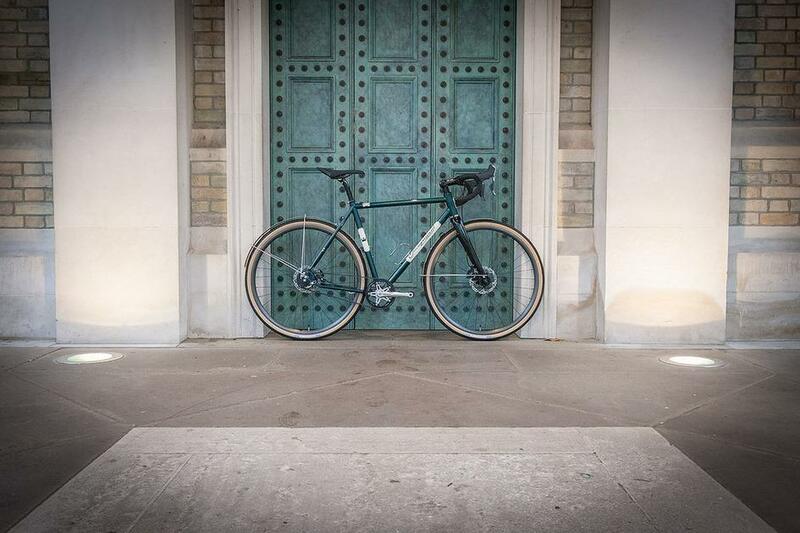 Alfine is almost entirely silent, with Gates carbon drive it's even quieter. Minimal wear, no oil or grease, no rusting, this will be good for years to come. 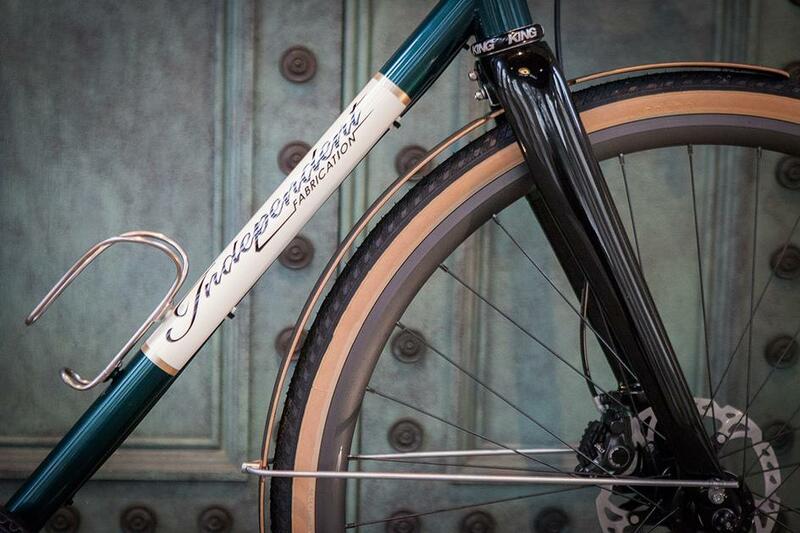 The internal cabling and drive side split in the seat stay (allowing for belt drive installation) are both elegantly engineered by Indy Fab. The final piece of the puzzle was the finishing kit. Without sacrificing quality, performance or the clean aesthetic, we sourced custom de-badged ENVE bars, seatpost and stem. This amazing build was a pleasure to work on. We think it looks perfect and we know it will ride brilliantly for years to come. To develop your dream build, come and see our custom experts in store. As always, there are more of Bobby's shots of this build on our Flickr.